It seems like just yesterday when I was getting home from last year’s Dreamforce where we were introduced to Financial Services Cloud for Wealth Management. Many exciting things have happened since then, the largest being Salesforce’s recent announcement of its new product features: Financial Services Cloud for Retail Banking. 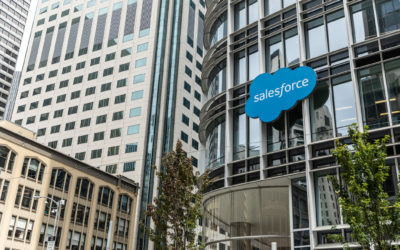 Salesforce continues to dive further into financial services sub-industries and recognized banks and credit unions desire to change their customer’s experience by developing the tools needed to build loyalty and empower banks and credit unions by uniting teams around the customer and incorporating peer input. 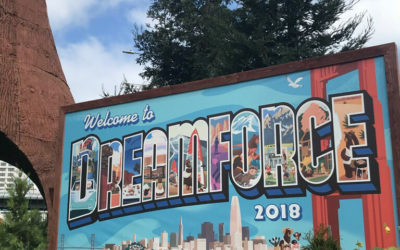 I wanted to share with you my takeaways from the Financial Services Keynote at Dreamforce this year. My friend, Rohit Mahna, SVP/GM Financial Services at Salesforce, set the stage in the keynote for the financial services industry and took us on a journey to understand how we’re entering the era of intelligence or what the World Economic Forum is calling the Fourth Industrial Revolution. When we think of the modern customer, we now see a digitized customer lifestyle that has higher expectations and infinitely more choices. This has highlighted new challenges facing customer loyalty with only 20% of IT leaders having technology plans regarding AI as comprehensively defined (Salesforce, State of IT Report) and 49% of consumers expressing that their bank doesn’t understand their current and future needs (Salesforce, 2017 Connected Banking Customer Report). The result is that 36% of customers purchase products and services from a banking competitor (Bain, Customer Loyalty in Retail Banking, Global Edition 2016). The question has become: how do you gain and solidify your competitive advantage? You have so many places to start and ways to leverage solutions starting with your Channels, Breadth of Products & Services, Processes, and Infrastructure. The Salesforce platform is all about unlocking the full potential of your technology and visualizing the entire customer’s relationship. Use Salesforce to continue the personalization of your customers’ experience and remember you need to be constantly improving your holistic customer view. Salesforce showcased Citi and their goal of being embedded in the lifestyle of their customer. Citi is putting the customer at the center of everything they do. Customers are expecting a better experience that is simple, personal, human, and cohesive and they want to know that their bank knows who they are. By using Financial Services Cloud, Citi is gaining the insights required to build relationships with customers by understanding their needs and life goals, while having insights into their employees’ engagements with them. Three years ago, Salesforce built Financial Services Cloud based on the theme of changing financial services organizations striving to shift from being product focused to being relationship-centric. The challenge in the industry is that relationships are complicated and that’s where, last year, Financial Services Cloud for Wealth Management first came into play which empowered wealth firms to build relationships across households, gain the insights necessary to provide depth in these relationships and ultimately change the customer experience. With the proven success of Financial Services Cloud, Salesforce has shown their dedication to banking with Financial Services Cloud for Retail Banking empowering banks and credit unions to fully realize the potential of the customer view. Contact our Financial Services team to learn more about Financial Services Cloud for Retail Banking and see how Silverline can support your challenges and needs. Our friends and partners at nCino had a phenomenal presence in the demo of Financial Services Cloud for Retail Banking product. Pierre Naude, CEO at nCino, also shared his insights and background into nCino’s bank operating system that seamlessly integrates with FSC for Retail Banking to stay compliant and maintain regulatory standards. Click here to learn more about nCino. Premal Shah, President & Founder at Kiva.org, shared his company’s mission and objective of creating attainable loans for low-income entrepreneurs through crowdfunding utilizing the Salesforce platform. Kiva.org has created a network that has lent over a billion dollars and supported over 2.5 million entrepreneurs in 80 countries with 3/4 businesses being run by women with a 96% repayment rate. Click here to learn more about Kiva.org. Want to watch the demos and hear all the engaging commentary from the Financial Services Keynote? Watch the recording here. This entry was posted in Banking, Financial Services. Bookmark the permalink.